I was traveling last week in an area with little connectivity when Alexia posed the question of the week to the Miss Demeanors about whether they use writing prompts. I’m usually very good about completing my homework on time, but didn’t manage to make the deadline. So here’s my answer in a full blog. I love writing prompts. When I was still afraid to admit how much I love to write and that I desperately wanted to be a writer, my son Patrick, gave me an amazing gift as thanks for letting him move back home while he pursued his studies. He handed me a catalogue from Kripalu, the world famous yoga retreat that also features creative workshops of all kinds. 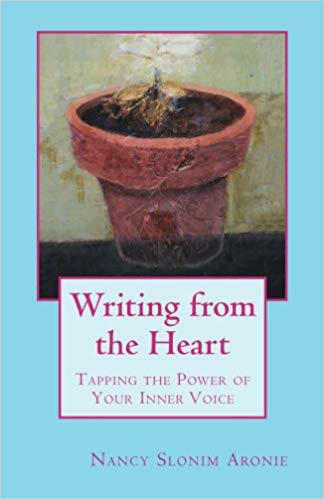 “Pick the weekend of your choice, Mom.” I thumbed through the catalogue and found that on my birthday weekend, Nancy Slonim Aronie, NPR commentator and author of Writing from the Heart: Tapping the Power of Your Inner Voice, was having a writing workshop. I signed up for a weekend that was to change my life. There were about thirty of us who sat in a circle on the floor with Nancy where we got to know each other through gentle conversation. Soon we were given writing prompts, encouraged to just let the words pour out without worrying how they looked or sounded. Just write. From the heart. I confess I thought it was silly. My skepticism quickly disappeared. I still have the handwritten responses I wrote that weekend. I marveled at what was coming out of me as if I were writing in tongues. I was a lawyer who wrote lawyerly legal documents, for crying out loud. What was this stuff pouring out of me? The prompt I remember most was, “My mother never told me…” I was surprised to learn I was harboring more than a bit of resentment a decade after I had lost her. I learned from another prompt how much my Uncle Buddy, who was in his eighties, brain- injured, and in my care, had taught me. I wrote with a tenderness that had been masked by the fatigue that comes with the drudgery of caretaking. I realized how much I loved my Uncle Buddy. Here I was, a wannabe mystery writer who writes about murder, punching out words and phrases that brought tears to my own eyes. I’d written but not published a mystery I called “Who Killed the Board of Selectmen,” which was inspired after I had been scarred by a stretch on my local planning board during a building boom. I didn’t want to write memoir. I wondered if I had chosen the wrong weekend. I surrendered my resistance and let myself get swept away by every prompt Nancy delivered. She’s very good at creating prompts and encouraging people to respond without judgment. 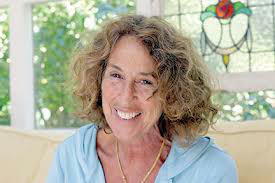 You can check her blog where she posts prompts at www.chilmarkingwritingworkshop.com. Her own response to “I want to be someone…” is written in list form. I want to be someone who has read the Odyssey I want to be someone who drinks tea in the afternoon I want to be someone who meditates for the full 60 minutes I want to be someone who doesn’t care what people think of her Writing prompts taught me how to crack open my heart. How to dig deep, press down, and reach into myself when I am writing. How can my characters feel real if I am unable to go beneath the surface? When my characters start to feel like cardboard robots, I know it’s time for me to take a break and find a writing prompt that will remind me writing is not mechanical. There are lots of books that spell out the do’s and don’ts and the how to’s, but writing that doesn’t come from the heart will never reach the heart of the reader.